Earlier this year, Serena Williams faced a life-threatening health scare that exposed a rude reality often neglected by media coverage today - that the United States medical system is currently structured to exclude Black women. In a Vogue profile, Williams describes that the day following her C-section, she experienced a devastating series of health complications beginning with pulmonary embolisms (blood clots). Given her medical history with this issue, she promptly notified the nurse that she needed a CT scan and IV heparin (blood thinner). However, she was not as quickly attended to by her nurse, who "thought her pain medicine might be making her confused." Nor was she accommodated by her doctors who gave her an ultrasound in place of the requested CT scan. When the medical staff gradually attended to her initial request, they of course found "several small blood clots had settled in her lungs." Following this discovery, Williams experienced six-days of health problems involving a lethal rupture of her C-section wound, aggressive coughing spells, surgery, and hemorrhage at the site of her C-section. In a CNN article published in February, Williams opens her sobering narrative with, "I almost died after giving birth to my daughter, Olympia. Yet I consider myself fortunate." Despite all these mentioned complications and a dizzying series of run arounds, Williams speaks in truth. She was incredibly fortunate to receive care with state-of-the art equipment and a highly-skilled medical staff. For centuries, Black women have confronted grievance after grievance within the medical industrial complex. And we're still demanding more. Black women have recently assembled to demand the removal of Central Park's statue of J. Marion Sims, a 19th century medical practitioner often venerated as the "father of gynecology;" at the expense of the enslaved women he experimented on without anesthesia. This week, women that have protested the statue's existence for decades finally rejoice as the controversial statue has finally come down. But what now? Given the renewed attention in the media of the present conditions of Black women in the medical system, it's necessary to galvanize a discussion about the longer history of racial and gendered bias within this flawed institution. In 1951, Henrietta Lacks was a poor, uneducated, tobacco farmer that lived along the ubiquitous continuum of employment and enslavement. Experiencing what she called a “a knot” in her womb, she underwent a standard screening for cervical cancer at John Hopkin’s Hospital. Following procedure, doctors removed a piece of the cyst to further investigate. During this process, however, the cancerous cells were extracted from this cyst without her consent - cells which scientists soon discovered could reproduce, rapidly, on their own. These cells, now widely recognized as HeLa cells by scientists, are responsible for one of the major contributions to the medical research community. Within the same year that her cells were thieved at John Hopkin’s Hospital she died at the early age of 31. Her “immortalized” cells, however, would live on to support the studies of research centers around the world. The family of Henrietta Lacks was completely left in the dark about the utilization of the HeLa cells scientific developments that were made as a result HeLa cells. In fact, it took the medical community 62 years to initiate a conversation about financial compensation for the family. A Black woman’s harvested cells trail-blazed modern advancements in cancer, cell biology, and vaccine research, yet many people - including Black people - still do not know her name. The poignant film featuring Oprah Winfrey as Deborah Lacks, "The Immortal Life of Henrietta Lacks," documents the power in remembering. When we recall the stories of women like Henrietta Lacks, we are reminded of the pernicious effects a broken medical system has on Black women and girls. When we remember the Black enslaved women who were experimented on by J Marion Sims and the continued valorization he receives for his contributions to modern gynecology, we question: does Black reproductive health matter? Our unique history with the medical industrial complex, laden with harrowing stories of exploitation and exclusion is often neglected for the comforting narratives of white women's reproductive issues. This is odd considering that Black women continue to have the highest breast cancer mortality rate among all racial and ethnic groups of women, as well as higher death rates from cervical cancer than our white counterparts. The dehumanization of Black women in the name of capitalism could not be more exemplified in the last few months, during which the Trump administration has attempted to repeal the Affordable Care Act (ACA) despite lacking concrete plans for a replacement system. Future cuts to healthcare are likely to have disastrous effects on Black women. Studies centered on Black women and health care have proven, we, as Black women, stand to bear the brunt of a vastly inaccessible, and unaffordable healthcare system. But mainstream media of course, does not reflect this. 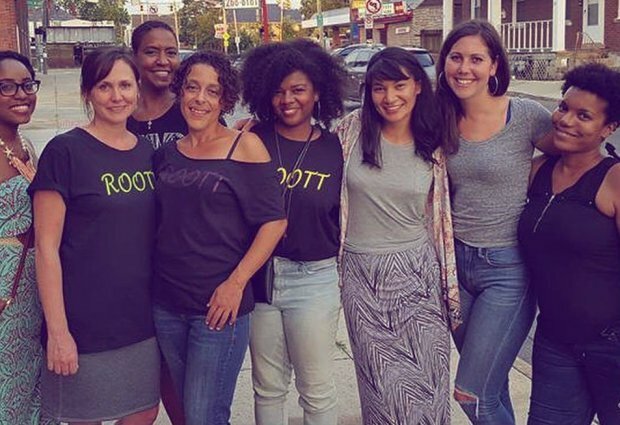 Organizations like Restoring Our Own Through Transformation (ROOTT) are calling for a social justice narrative centered on the voices of pregnant Black women and people of color. Black women’s reproductive health and disability issues are virtually just as invisible now as they were in 1951. However, Black women across the diaspora have historically used story-telling as a method of recuperating histories neglected in the major institutions of the school, the media, and government. When the media fails to vocalize the inherent disconnect between white and Black reproductive justice activists we remember. We remember the eugenics movement of the 60s which was responsible for the mass sterilization of Black women due to the dominant perception of Black women as welfare queens and crack abusers. We remember Henrietta and the Tuskegee experiments, and most importantly we remember that these dismal epochs have mysteriously faded out of the historical memory. Retelling these narratives is an act of truth and reconciliation. These are contextualizing narratives too often ignored in popular discourse surrounding reproductive justice. What must be - but currently isn't - discussed in these circles is that Black women are subject to disproportionately higher rates of sexual violence, yet Black women are still being denied reproductive health care in states that have rejected Medicaid expansion. Black women suffering from PTSD symptoms, anxiety, depression, and substance use disorders as a result of sexual violence continue to be shut out of our mental health centers. And while there is critical conversation erupting about the fact that Black pregnant people are three times as likely to die during childbirth than white women, it is equally important to mention that our racial group also suffers from high infant mortality rates. With the stakes incredibly high for Black women and the continued minimal mention of our unique perspectives in the media, we must remember that our ancestors too resisted in the crosshairs of poverty, violence, systemic racism, and the stigmas associated with being differently-abled. The whitewashing of the topic of disability and reproductive justice today is an act of racial trauma but it does not exist in a vacuum. We can start to heal by breaking our silences and reclaiming the stories of repression which the resilient survivors before us endured. Yet we must continue this discourse, bearing in mind that J. Marion Sims's exploitation of enslaved women was not an isolated event - and that reproductive and disability justice today must center the voices of marginalized women across the intersections of race, gender, class, and ability.